A good fare to Bali and a price drop from several weeks ago. Limited availability. 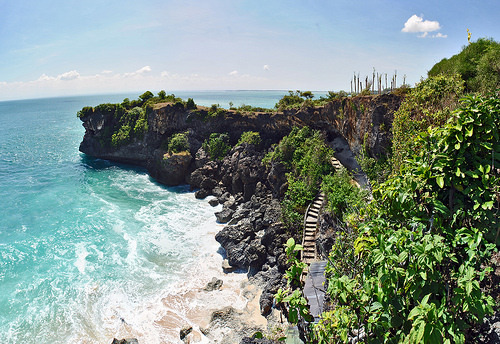 Here are some practical travel tips for Bali and for the Bali Jazz Festival. Valid for travel from mid-February, 2017 – late-March, 2017 and from mid-August, 2017 – early-September, 2017. Limited availability. Must purchase at least 1 day in advance of departure. Length of stay: “7-14″. The maximum search range is 7 days, so enter ranges in this format: 0-7, 5-12, 7-14, etc. Segments between Sydney and Bali will be operated by Virgin Australia under Delta flight numbers. 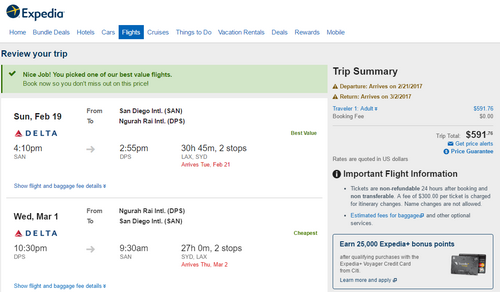 Support us by using our Expedia link to book with dates found on ITA Software Matrix Airfare Search. Select “Show Additional Options” and under “Preferred airline:” select “Delta”.